years have been in mission work. He spent ten years as a missionary in Taiwan. He is fluent in speaking Mandarin Chinese and can read and write Chinese. He has four children and five grandchildren. mission trips and has traveled to 22 nations of the world. 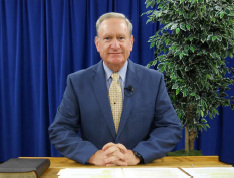 He also travels in the U.S. to report on his work as well as to conduct gospel meetings and to participate in lectureships, mission forums, and workshops. He is in his 31th year (as of 2012) of working among the Chinese people. His work is under the oversight of the Chestnut Mountain Church of Christ in Braselton, GA. Follow along with his report by viewing this slideshow.